Remortgage with bad credit - Can You Can You Remortgage - Help is here! Can You Remortgage with bad credit? If you already own your own home and wish to remortgage your property, you will need to submit an application with a mortgage provider. This might be with the same provider of your original mortgage, or with a different provider. If you have bad credit, this can make the process more difficult, but not impossible. In some cases, it can be easier to wait a while until your credit score looks more favourable before making an application. However, if you cannot wait, there are things you can do to help make the process easier. Before you can make an informed decision about how to apply for a remortgage with bad credit, you need to understand what the mortgage companies can see. There are three different credit checking agencies in the UK. These are Equifax, CallCredit and Experian. You can sign up to each agency to find out what information they have about you. Once you know what the mortgage companies can see, you can understand how to present yourself in the best possible light. Sometimes, the reason that your credit score is poor will be obvious. For example, regularly missing payments can be detrimental to your credit score. However, there are sometimes mistakes on your credit score which can have a negative impact on your score. It’s important to check your credit file, make sure that everything is correct and up to date, and then make corrections as required. Many people initially apply with their existing mortgage provider as they assume that this will give them the best chance of success. There is no reason for your existing mortgage provider to approve your remortgage application, so it’s worth shopping around. Some mortgage providers specialise in working with people with bad credit and will be able to give you the best possible advice. If you are rejected on a number of occasions, this can start to compound the negative impact on your credit score. If this is happening, it’s best to wait a while and give your credit score time to heal. It can take a few months for past searches to drop from your file, so use the time to build a few months of good credit history. Make sure all payments are made on time and look for ways to reduce your debt. Close any old accounts that you don’t use anymore and focus on keeping your primary accounts in good standing. Even the worst credit history can be fixed given time. If you are struggling with debt, it might be worth speaking to a debt advisor to see how you can consolidate debt and control your spending. Focus on keeping your spending under control and look for ways to pay off debt faster. In general, you should aim to keep your credit card debt under 50% of your total allowance, so paying off your credit card in full at the end of every month is hugely beneficial. While it might be more difficult, getting a remortgage with bad credit isn’t impossible. 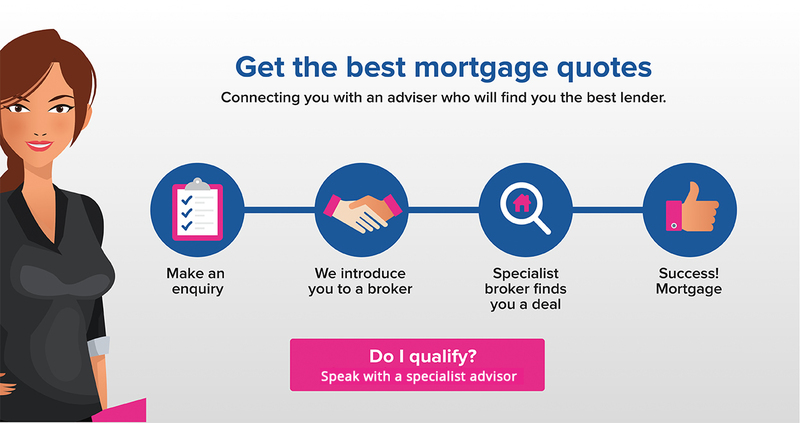 Sometimes, all you need to do is speak to the right mortgage broker.